While most of the time people see ENTJs as pretty cut and dry extroverts- that is often just what is seen on the surface. ENTJs are complex people with many layers to their personality and their behaviors. While they are extroverts, there is definitely more to them than that. There are many ENTJs who can certainly appear more introverted at times, and find themselves leaning towards that behavior. Sometimes this comes from a desire to be independent, other times it comes from feeling like they can handle things better on their own. ENTJs can actually be some of the more introverted of the extroverted types, especially with the right context and situation. ENTJs can lose patience and become drained by people rather easily, which is more commonly an introvert trait. They have a hard time dealing with inefficient or lazy people, and this is something that can sometimes push them over the edge of their patience. ENTJs don’t like having to deal with people who don’t seem to put effort into things, or are completely incapable of being efficient. They often feel that people are capable of more than the bare minimum, and so they don’t like dealing with the ones who don’t try hard enough. ENTJs want to be around people who are capable and intelligent, and don’t require babysitting in order to get things done. The fact that they lack patience with people who aren’t efficient and focused, can definitely cause them to appear introverted. They might want to completely avoid these people, or simply become short-tempered with them. Ultimately the ENTJ will become drained when they are around people like this. While they can be rather social and outgoing, there are many things about them that cause the ENTJ to appear a bit more introverted. The fact that they can struggle to feel energized around a lot of people, is definitely a more introverted trait. They need to be around people who they can communicate with and who don’t waste their time. ENTJs actually enjoy being around people who they care for and who they can work well with. These are the types of people they feel energized by, and they actually enjoy their presence. ENTJs can actually be rather picky about the people they like and let into their worlds. This is something that definitely causes some people to believe they are introverts when they notice this behavior. ENTJs can certainly be outgoing and unafraid of interacting, but they don’t enjoy dealing with certain people. Their desire to get things done makes the ENTJ very focused and sometimes a bit impatient. ENTJs actually enjoy being alone quite a bit, and sometimes prefer to get things done themselves. They need time to themselves sometimes, in order to think things through and plan out what to do next. ENTJs also lose patience when they are dealing with people who can’t do things right, and so they might need to take charge themselves. There are times when the ENTJ just feels like they have to do things themselves in order to get it done right. They are capable of delegating but they need a team who can actually take instruction. ENTJs certainly like being on their own from time to time, and like the chance to get away and relax. While they are happiest spending time with the right people, they would rather be alone than be with the wrong ones. ENTJs simply need to be around others to test their ideas and information on, and do enjoy having people to discuss these things with. Being on their own they are often just fine, especially since they really are choosey about the people they want to spend long periods of time with. They simply don’t require constant interaction, and can gain plenty of discussing things through forums or just doing research on their own. ENTJs value their independence, which is something often viewed as an introverted quality. While they value loyalty and commitment, they don’t want someone who smothers them. They want to find people who will give them room to do the things they need to do, without constantly trying to smother them. ENTJs aren’t good with emotional expression, which is a major reason why a sense of space is important for them. While this is simply because they aren’t natural in tune with emotions, it can certainly come across as an introverted trait. ENTJs need their space with a lot of things, since their minds become rather focused on what they are working on. Zoning into their work in this way can definitely be something that causes the ENTJ to appear truly introverted when that is not the case. While ENTJs are certainly extroverts who need interaction in order to recharge and get motivated, it isn’t quite so simple. ENTJs are complex people with many layers, and individual characteristics. Some ENTJs can lean more towards the introverted side of the spectrum, or find themselves somewhere in the middle. While they do crave some sort of interaction in order to feel inspired and bounce information off of someone, that doesn’t mean they want this constantly. ENTJs also need some times to themselves, in order to get away from the stress and frustration they face when dealing with people who are ignorant or inefficient. 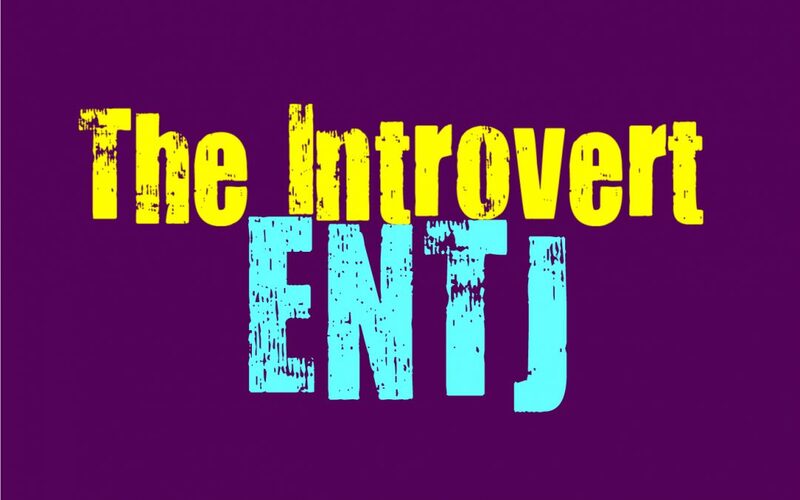 The fact that they can so easily go from wanting socialization, to wanting alone time, can certainly make the ENTJ seem more introverted at times. It can also make them lean towards this side of their personality depending on their surroundings or their current situation.